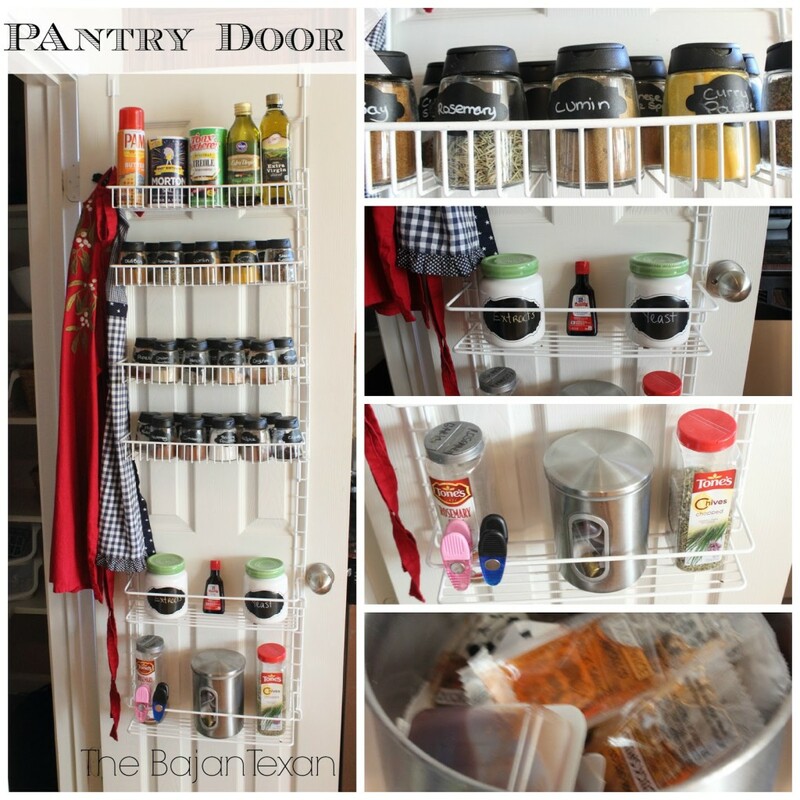 Today I’m sharing a pantry organization video featuring my own space. 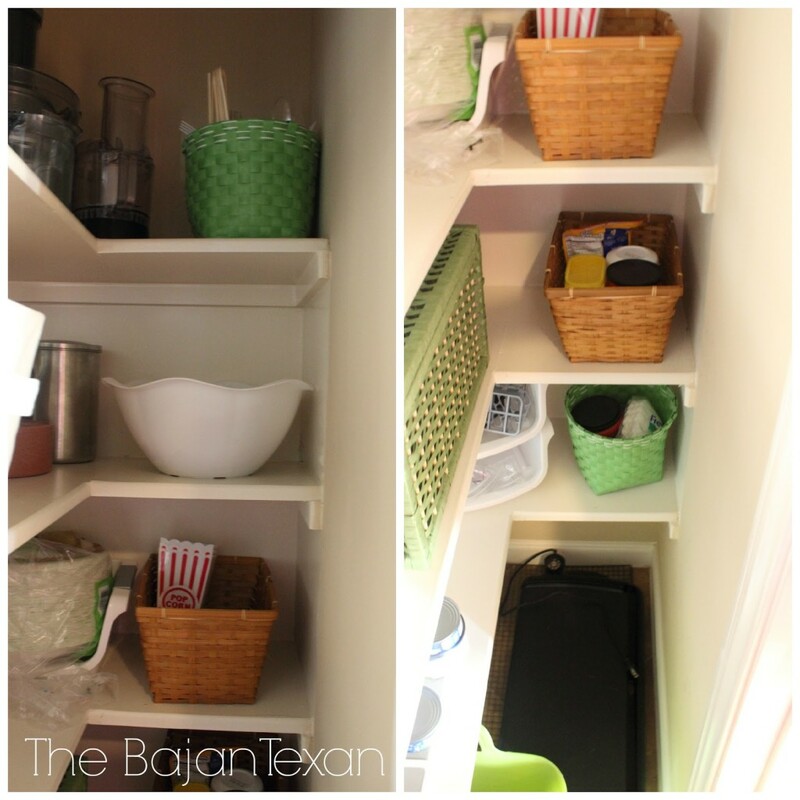 It’s a relatively a small pantry so I use baskets to help maximize space. It’s been like this for a few years and I really like this system. 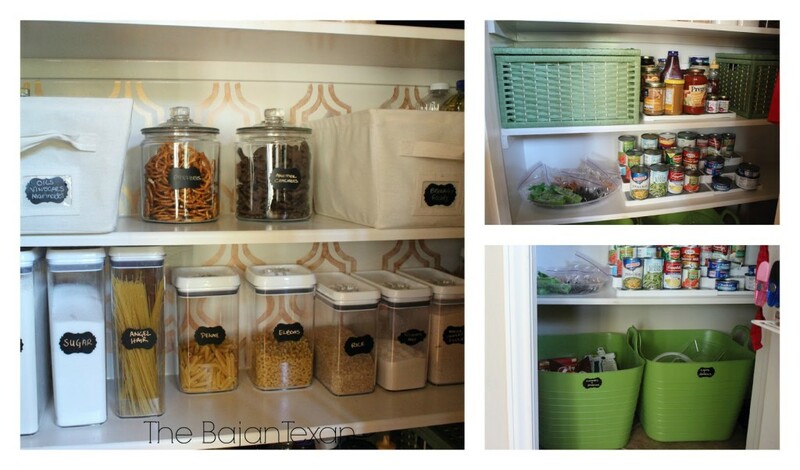 I like using baskets and airtight containers in my pantry because it keeps it organized and even pretty, who says a pantry has to be boring? The first thing I did was to do a cute stencil on the back wall of the pantry. 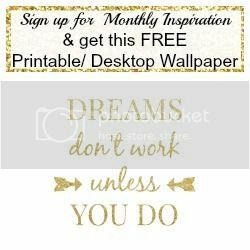 I used a pencil and traced out a stencil and then used a paint brush to trace it in copper metallic craft paint. I used these airtight containers from Walmart, unfortunately they are only available in store but I found these on amazon and they look exactly the same, they are pricier than in store though so I would check my local Walmart first. Also from Walmart are the glass containers and the white baskets.The green baskets are from Michaels and the Large Green buckets at the bottom are from Target. The risers I found at Marshalls. For the Pantry door, I use this over the door adjustable system. The spice jars are from Ikea and are called 365+ Ihardig, they come in a package of 4 for $3.99 so they are very economical. I used chalkboard labels from Hobby Lobby to label everything in the pantry. I store cookbooks, my recipe binder, cereal and small appliances on the top shelf. On the side of the pantry I have smaller baskets which hold specific things such as, plastic utensils, drink mixes, popcorn, coffee and tea. At the bottom of the pantry hold my wire rack and griddle. And here’s one small tip for putting mixes in containers, before you throw away the box the mix came in. 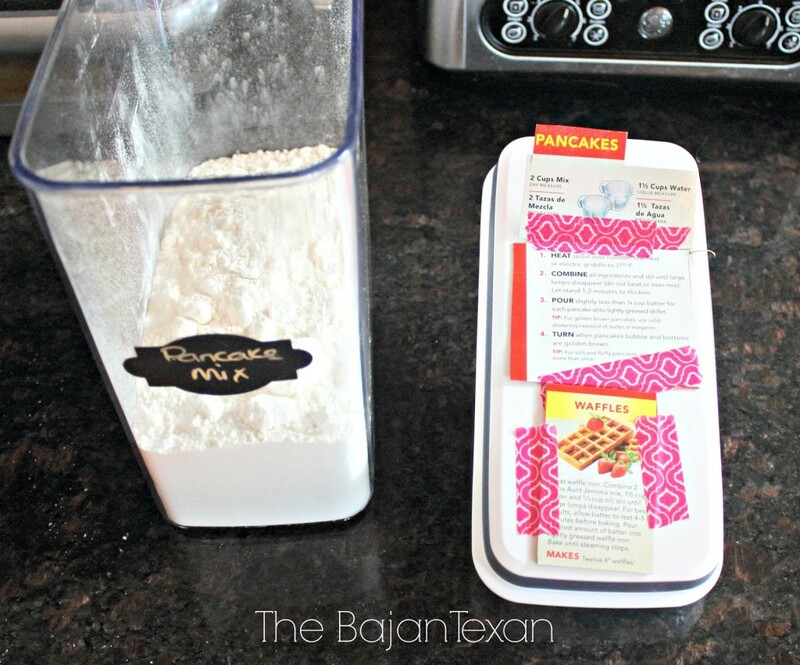 Cut out the recipe and tape it to the container so when you go to make pancakes or waffles for example you know exactly what you need. For a full tour of the pantry watch the video! Would love to hear your own pantry organization tips and tricks!